Whenever I turn up somewhere as an automotive journalist it’s always my aim to try to display a certain level of professionalism, so burning my shin on the exhaust tips of my car as I reached in for my camera isn’t quite the first impression I wanted to make. 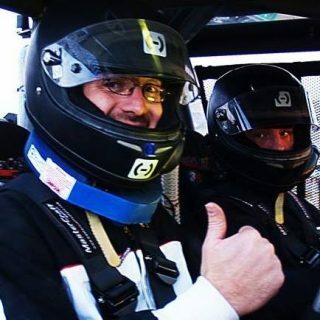 But Richard Keller, the director of the incredible Citi de l’Automobile in Mulhouse, France is the most relaxed Frenchman I have ever met and politely pretended that nothing happened with the smell of some burnt leg hair still in the air. 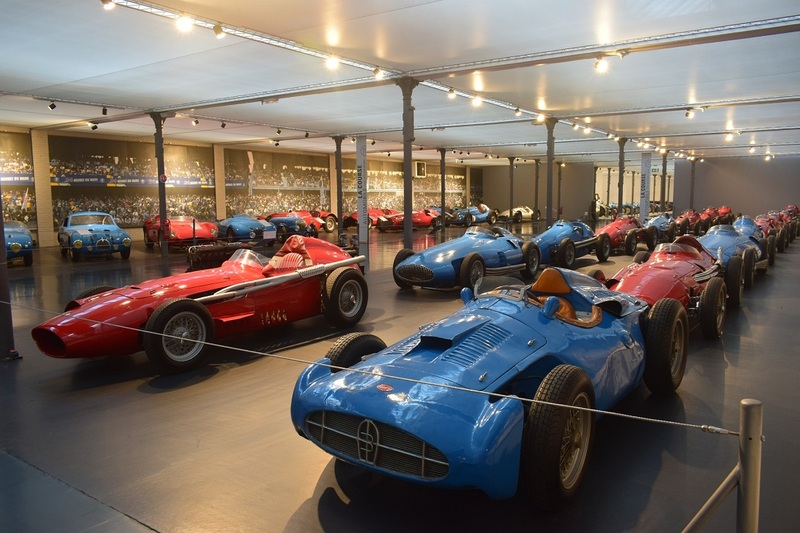 From the outside, the Citi de l’Automobile is a rather uninspiring complex of industrial warehouses, but inside is one of the most comprehensive and impressive collections of cars in the world. 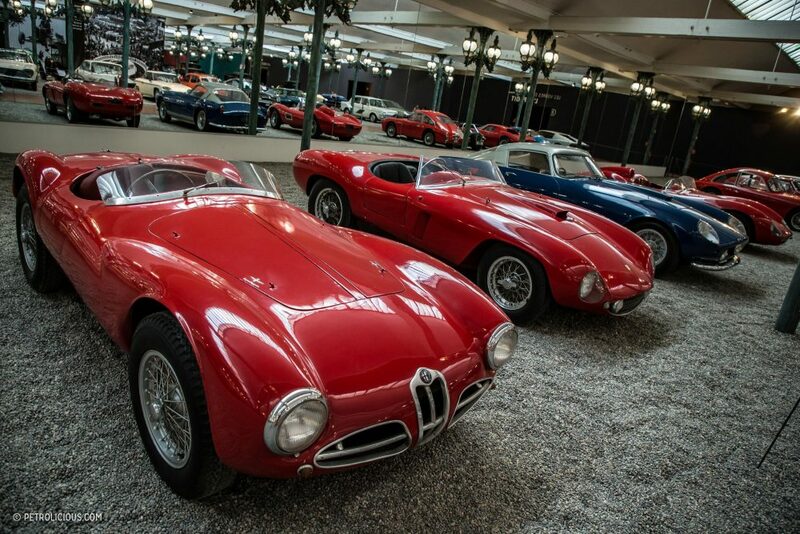 Between the 1950s and 1970s, a rather eccentric Italian-born Swiss textile producer named Fritz Schlumpf and his brother Hans amassed a mind-bogglingly huge private collection of cars, which was known as the Schlumpf collection. 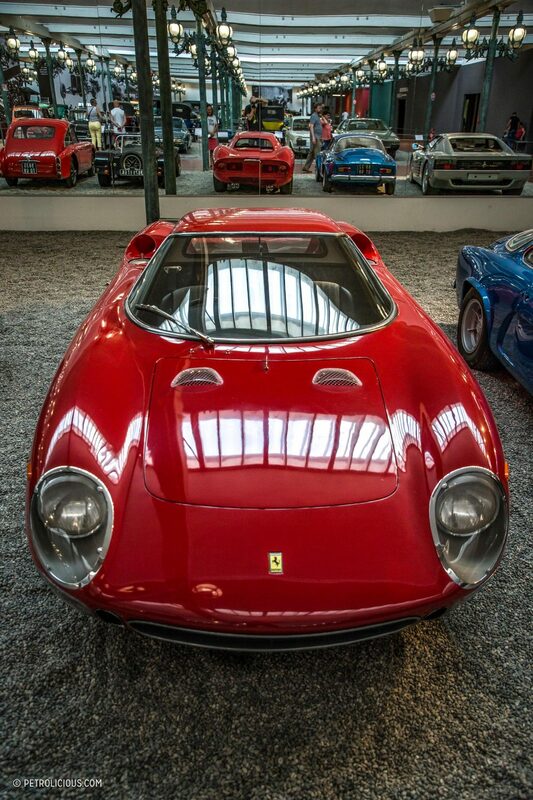 In the late 1970s though, the cloth mill bubble burst and in an attempt to cover Schlumpf’s debts the cars were seized by the state. 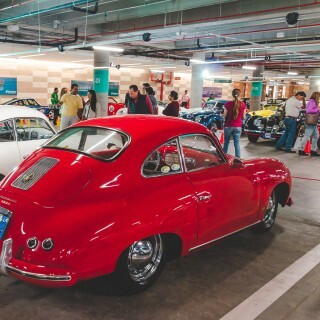 However, instead of being sold off piece by piece at auction or otherwise, some local car enthusiasts high up enough in the city administration considered a better idea: to create a museum and display them to the public. 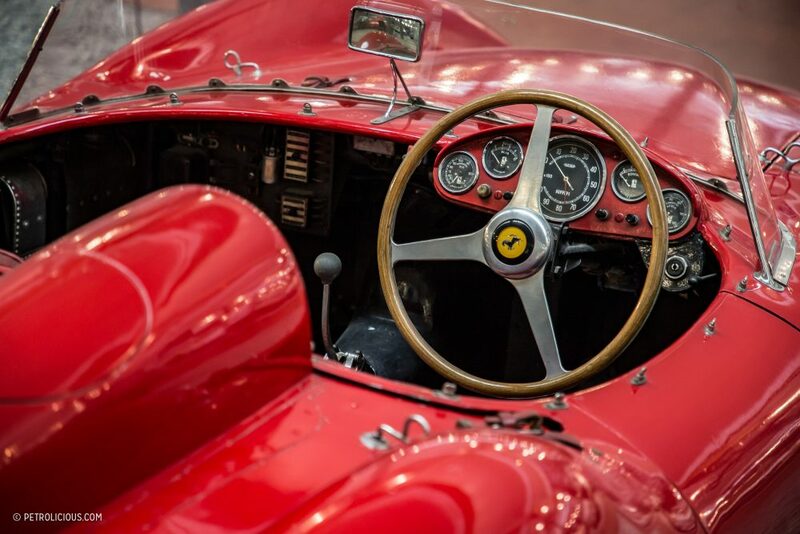 Since 1980 the number of cars has slowly been added to with some carefully, historically significant acquisitions, and the Citi de l’Automobile is regarded today as one of the world’s most significant collections. 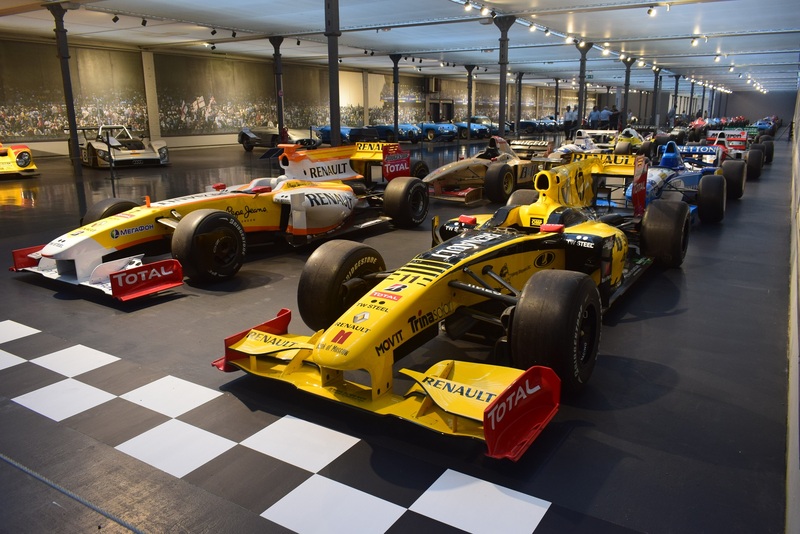 The floor space for the 400 pieces on display is a staggering 25,000m² and 180,000 visitors a year come to stroll down these halls. 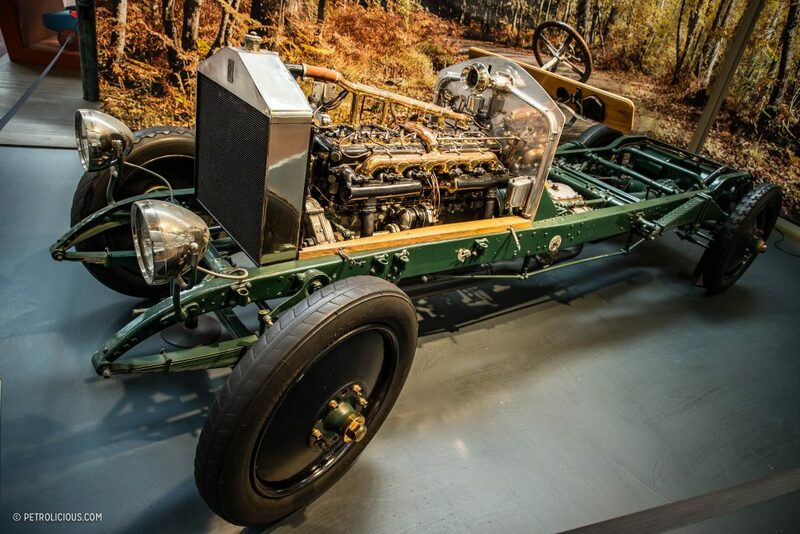 With important examples from the very first horseless carriages, glorious oddities from the 1960s, to Formula 1 and sports cars—including the world’s largest collection of Bugattis—the 400 vehicles on show would take literally weeks to fully appreciate. Richard is the head curator of the priceless exhibits in the collection, and has been at the helm since the year 2000. For Petrolicious he gave us a tour to see his pick of some of the highlights. 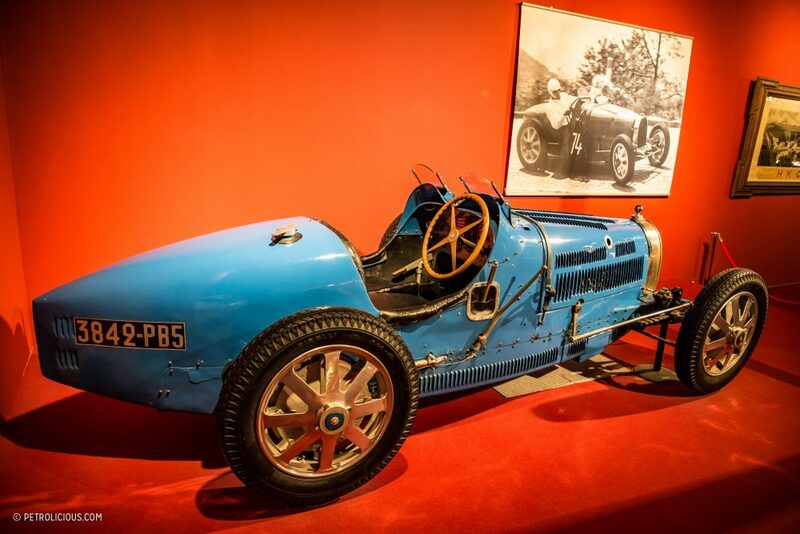 In the first room is Schlumpf’s first car, a supercharged Bugatti Type 35B, that he used on local hillclimbs before he decided to focus his passions more on collecting cars than racing them. 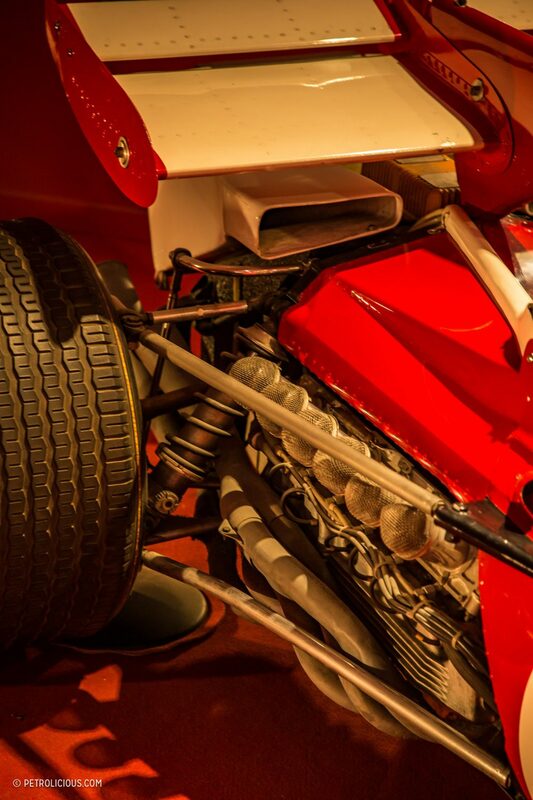 In the far corner, after the memorial to his mother, is one of the obvious highlights of the whole museum, the 1971 Ferrari 230B that Mario Andretti used to win the 1971 South African Grand Prix. That first room is small though and gives no impression of what’s to come. Just around the corner the seemingly endless rows of cars, almost as far as the eye can see, is a sight that will take your breath away by the sheer scale, before you even appreciate the scope. 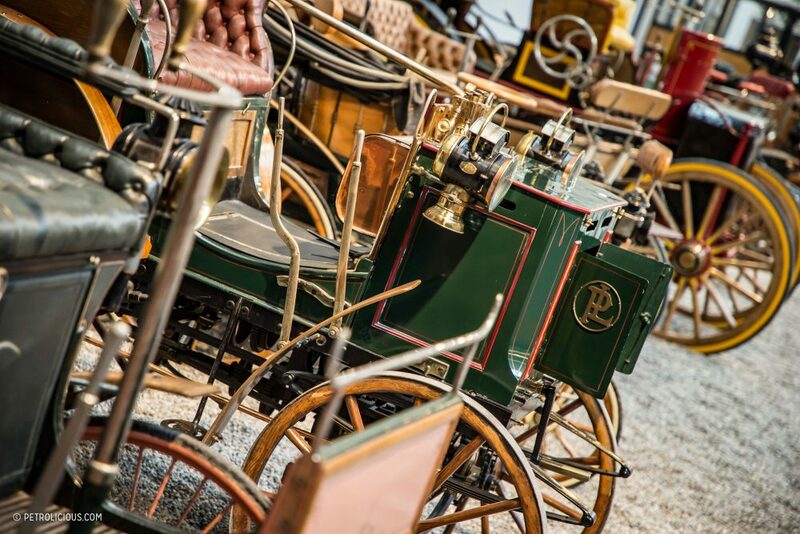 It starts with comical-looking wooden carriages that hark back to the very first motorized vehicles. First to really raise my eyebrow though it the three-wheeled Scott Sociable. 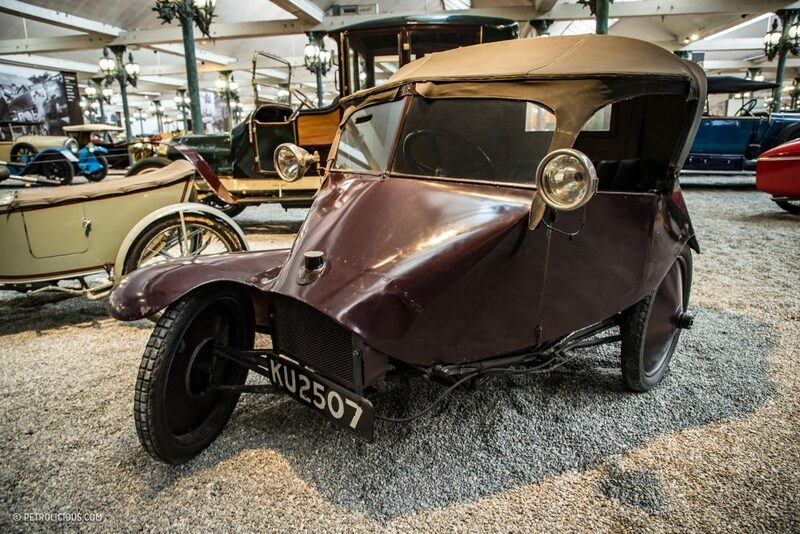 In WW1 the Yorkshire-based manufacturers made armored motorbike and sidecars and thought that in peace time it would be a good idea to make a car based on the bike… They made 200 hundred of these before the year 1924, when they realized that not being able to go around right-hand corners without falling over was a bit dangerous. Surprising no one, the design didn’t really catch on. 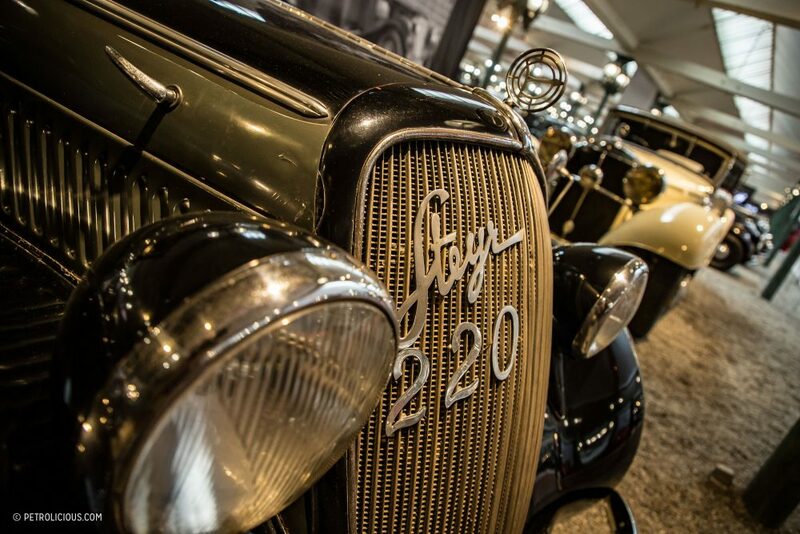 A little further along is the 1937 Mercedes 170H which is a lot more historically significant than it might seem at first glance. Richard pointed out that its obvious resemblance to the VW Beetle is no coincidence. 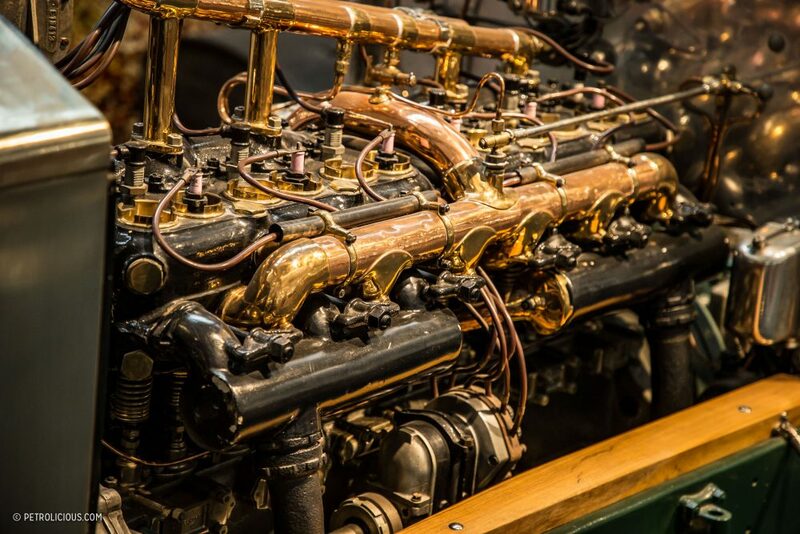 It might not be a world-changing model in itself, but has a huge place in automotive history as it was designed by Ferdinand Porsche, and so is the common ancestor to both the Beetle and the Porsche 356. 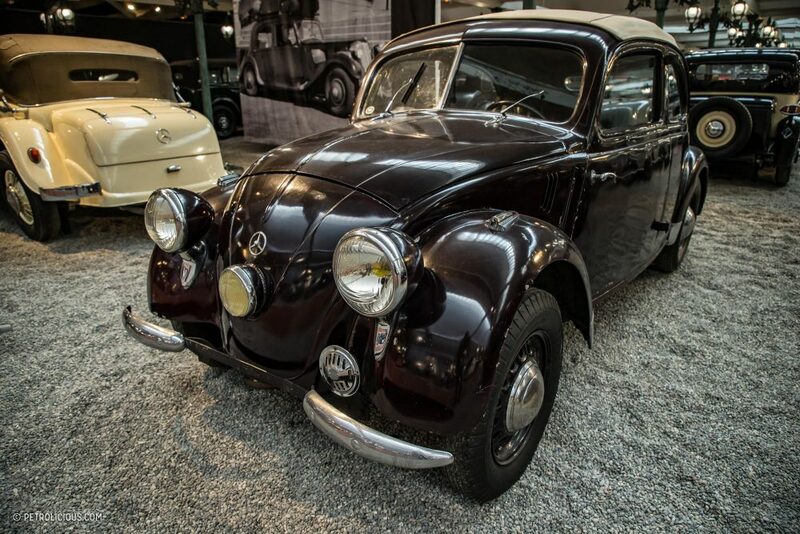 The resemblance of the Czech Republic’s Tatra 97 to the Beetle is also not incidental. 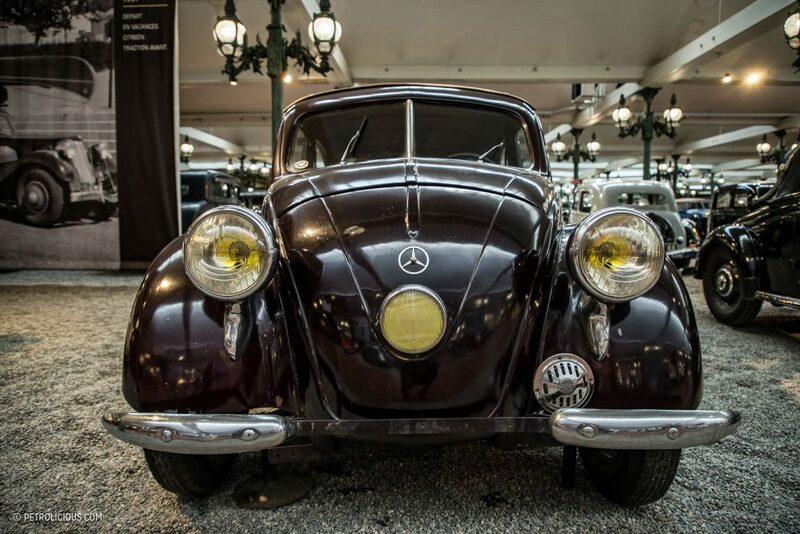 While the Mercedes 170 stands as its direct ancestor, the Tatra 97 is actually the car that inspired Ferdinand Porsche’s designs. 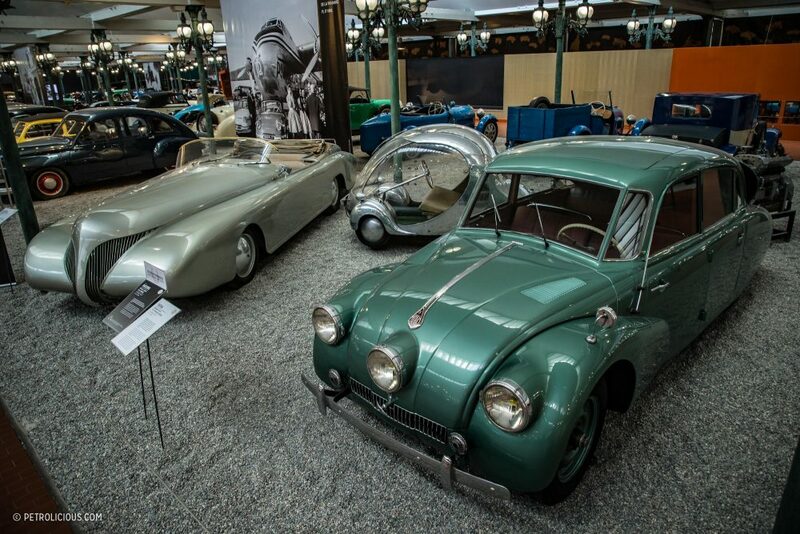 So much so that after the Second World War Tatra received a compensation settlement. 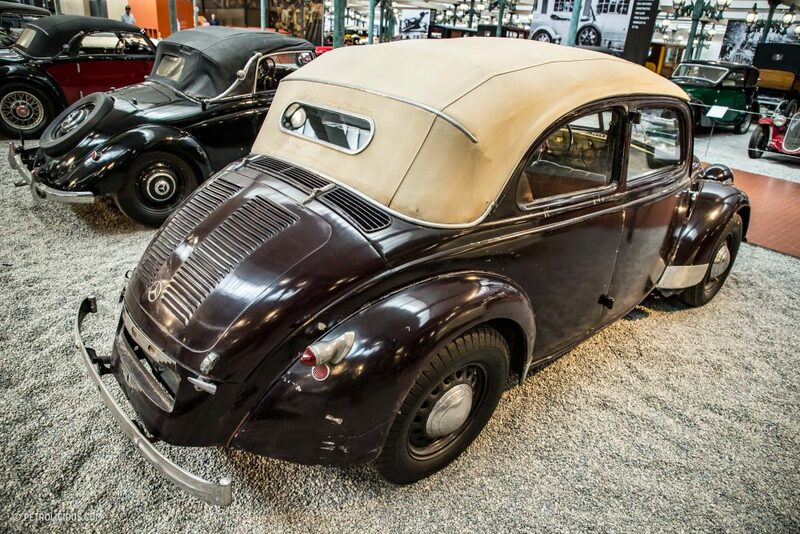 It’s actually rather strange to think that every VW and every Porsche that has ever graced a stretch of tarmac owes its existence to the inspiration provided by this unassuming cyclops-faced little Tatra. 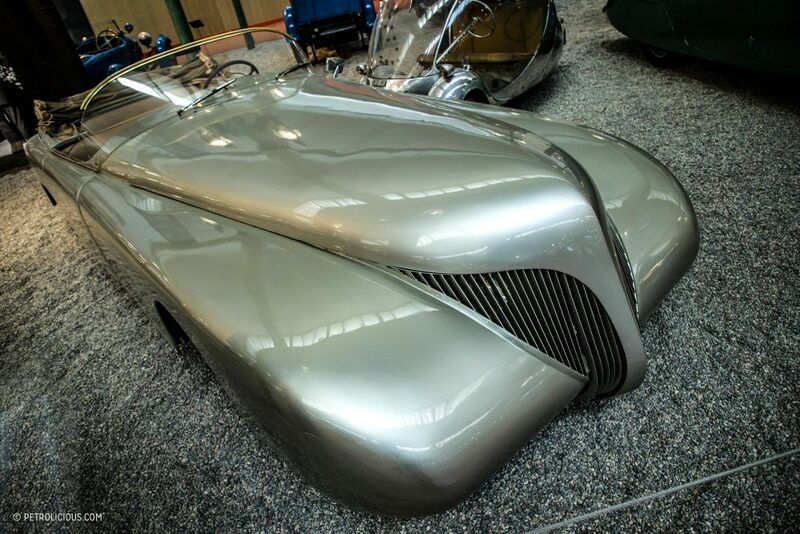 The insane 1938 Arzens next to it looks like it came out of an episode of Thunderbirds. Paul Arzens was a Parisian artist who pretty much embodied the word “eccentric”. An artist who refused to sell most of his works in 1938, he made his own car to transport his painting materials around. It’s called “The Whale” for obvious reasons. 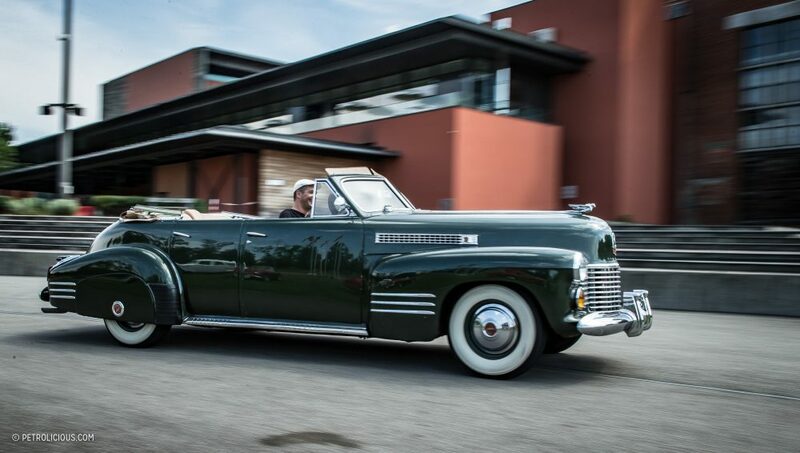 Based on Buick running gear, despite its behemoth proportions, its styling has actually stood the test of time quite well. Perhaps Arzens wasn’t as crazy as he seemed. And his main claim to fame? He designed locomotives for the French national railway company for forty years. Someone had to do it… In stark contrast to the massive car, the tiny little “Egg” next to it (pictured above) was made by the same guy. 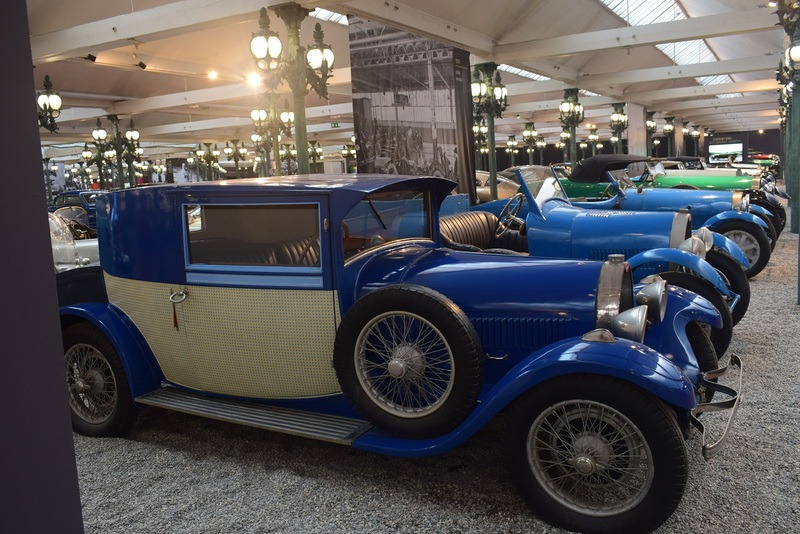 The Citi de l’Automobile is renowned for its insanely large collection of Bugattis, and the 101 in their possession is the last model of the marque’s classic era. 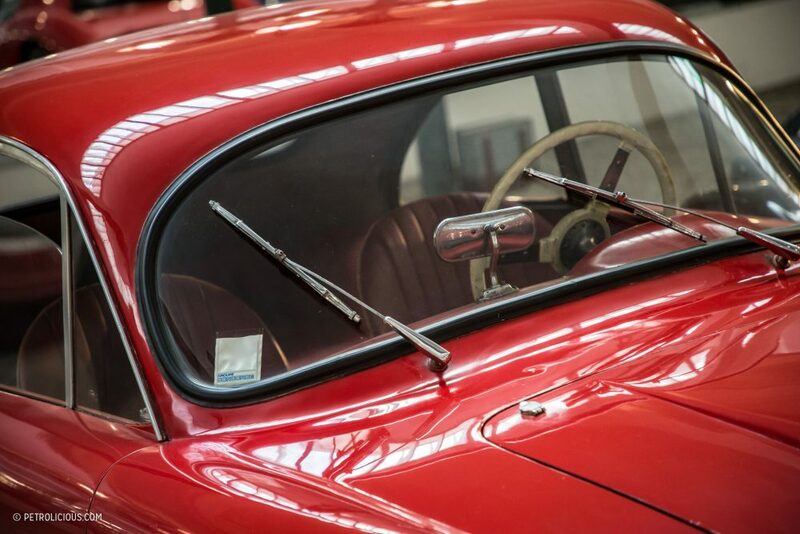 Based on an earlier Type 57 chassis with a straight-eight engine, the last one, with a body made by Ghia, was shown at the 1965 Turin Motor Show in a last ditch effort to revive the brand. 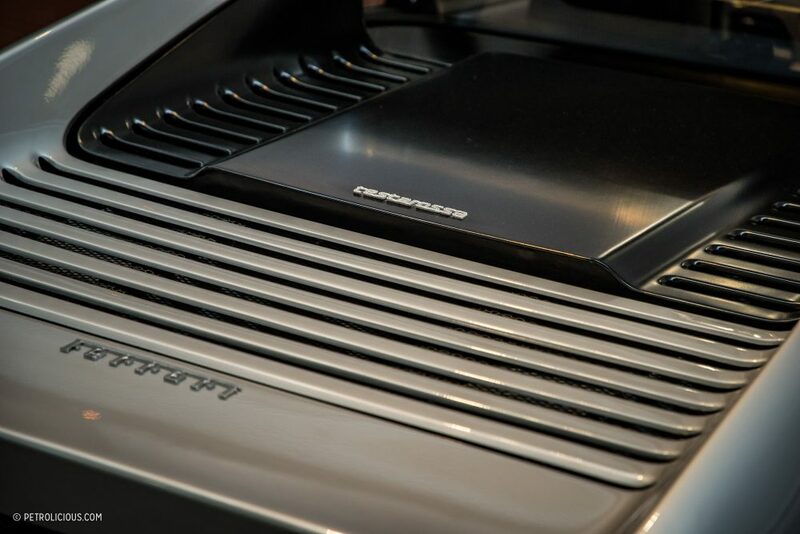 Sadly it didn’t work, and it wasn’t until the 1980s when Ferdinand Piech, grandson of Ferdinand Porsche, resurrected the name with the EB110. 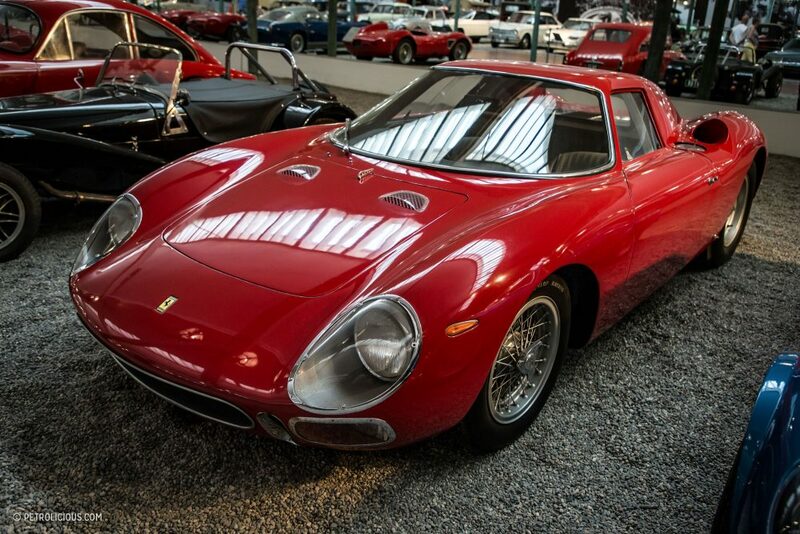 The line of sports cars is pretty amazing too. 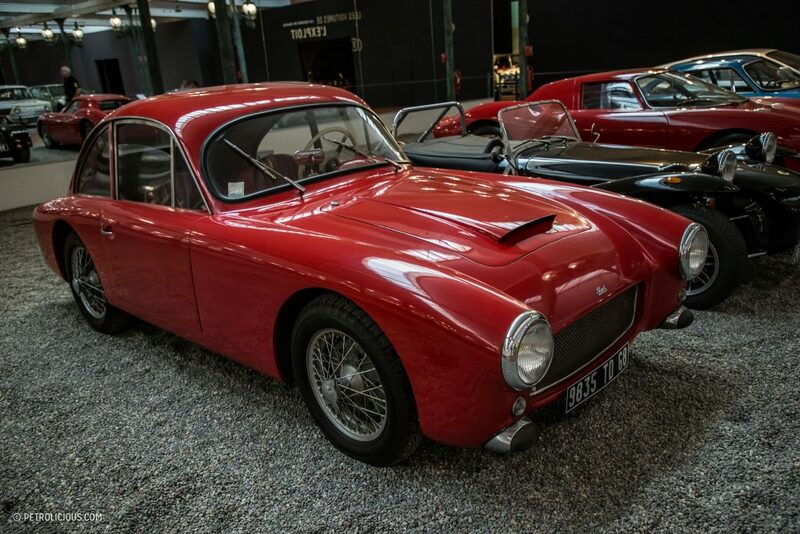 The Alfa Romeo C52 Fianchi Stretti is a very unique car. 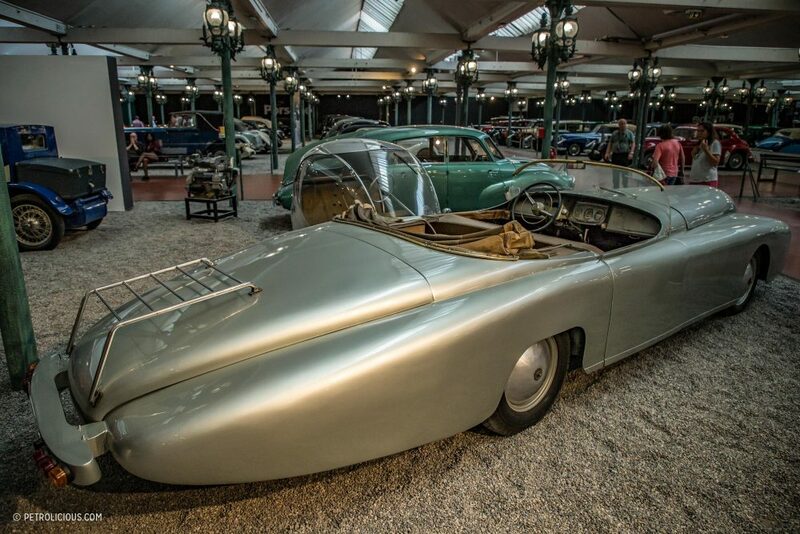 It started life as one of the highly unusual 1952 Disco Volantes, which means flying saucer because of its odd body shape. 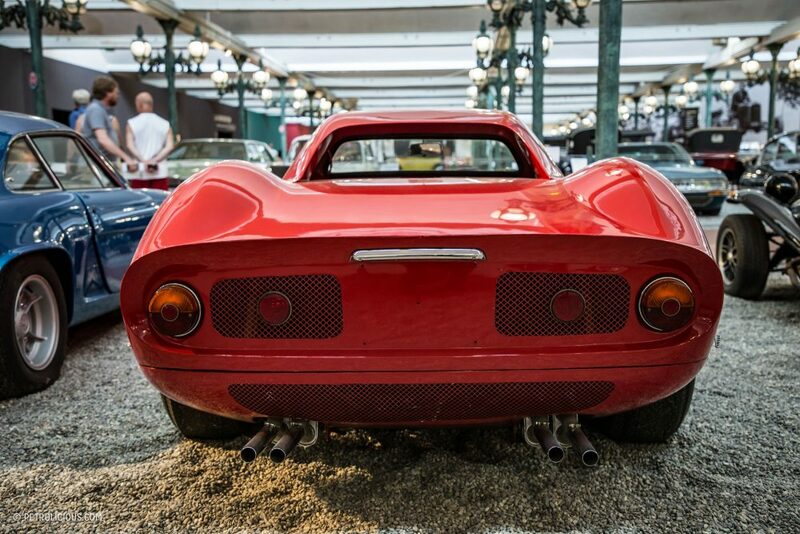 This one was fitted with a more conventional body and is known as the Fianchi Stretti, which is Italian for “narrow hips”. It’s a pity not more were made. 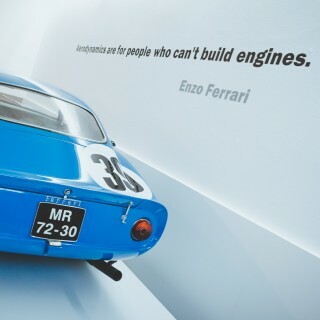 The same goes for the 1952 Ferrari 250MM, whose lines are from a time when it was an artist who penned them on the drawing board, not a CAD designer with access to a wind tunnel. 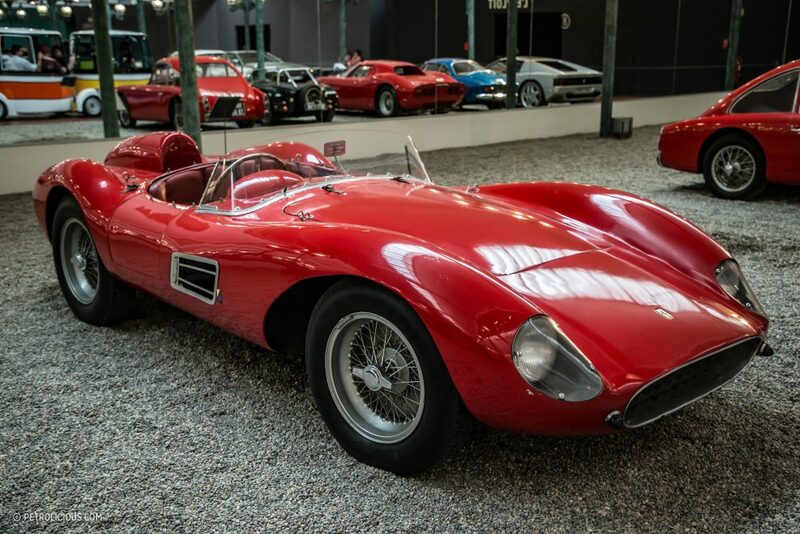 MM stands for the Mille Miglia of course, Italy’s famous grueling 1,000-mile-long road race that Ferrari won regularly in the 1950s when it was a part of the World Sportscar Championship. Next to it in decidedly non Ferrari blue is a very unique 450, owned by Bao Dai, the last Emperor of Assam. 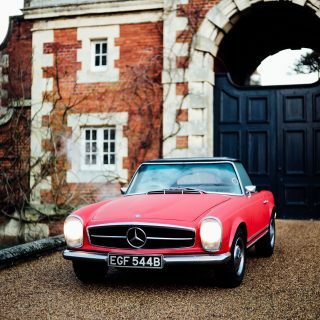 Definitely falling under the oddity banner, is this singular example of an Alart GT. Made in 1959 with a hint of MG in it, the designer didn’t get the roofline quite right and a second example was never made. From a critical look, but fair considering what company it is displayed next to, it looks like the rear window was put in the front by mistake. 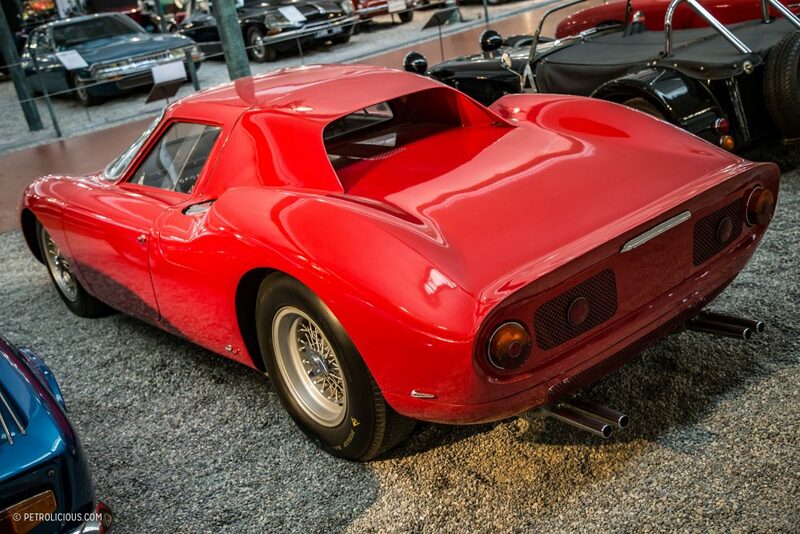 In contrast, with every line an example of automotive perfection, is the Ferrari 250LM. 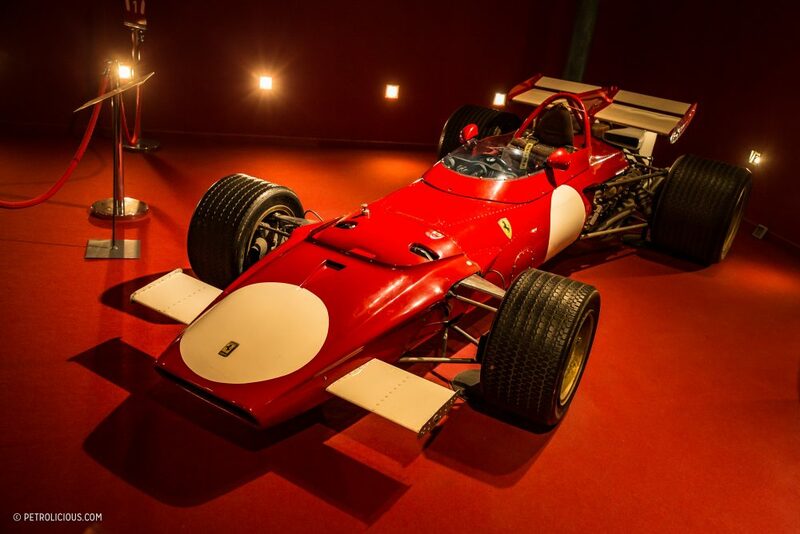 When an example comes up for sale it is one of the most expensive cars in the world, and this one, with only 2,000km on the clock, would surely be one of the most expensive if it was ever up for sale. 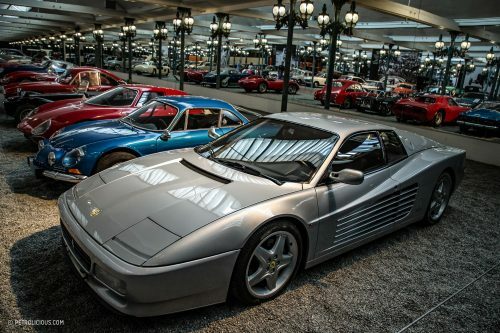 Despite the curves of the past and the edges of the less-distant past, its lines can still be seen in the 1989 Testarossa that came more than twenty years afterwards. But to put stg positive, the photos are awesome. The Cité is one of the greatest challenges for photographers. Especially the Regis Mathieu and the room with the Royale-s, the lightning makes it super difficult to shoot. Kudos to the photographer on that. 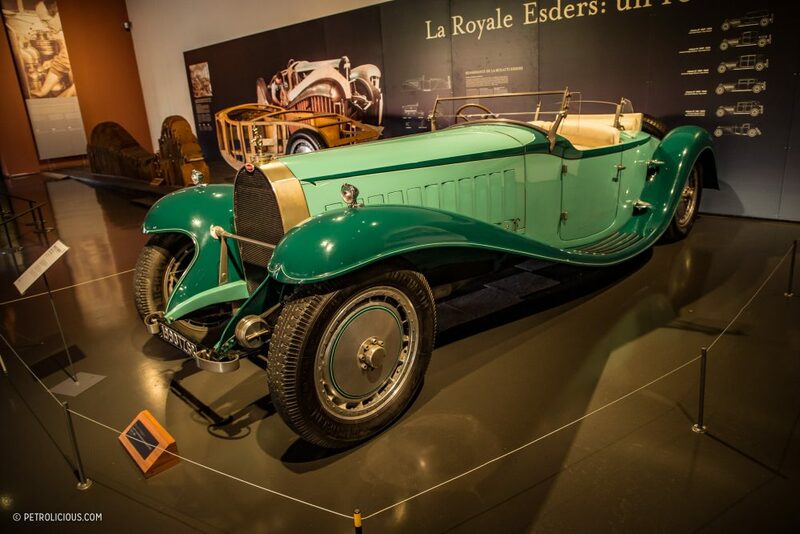 It’s « Cité » de l’automobile, if you don’t mind. 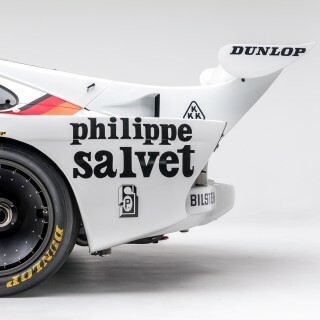 As far as I know Ferdinand Piëch had nothing to do with the Bugatti EB 110. 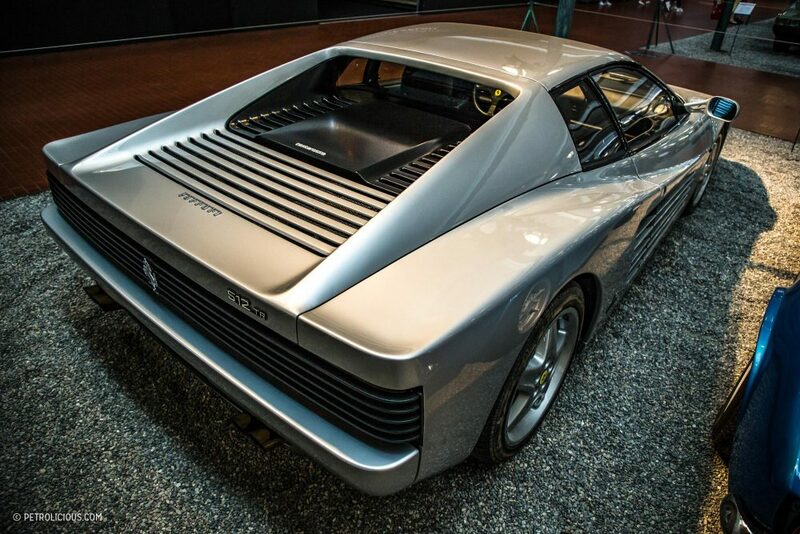 It was built between 1991 and 1995 and initiated by Romano Artioli. 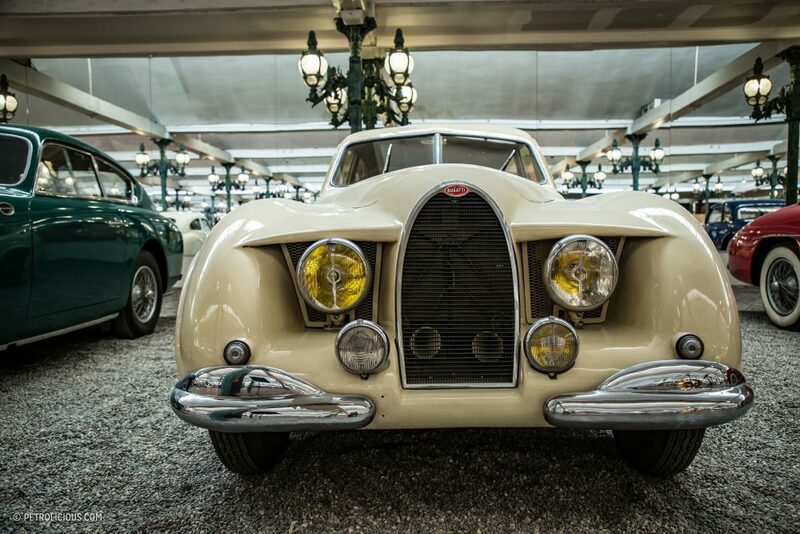 VAG only bought the rights to use the name Bugatti in 1998. Definitely on my list of places to visit. 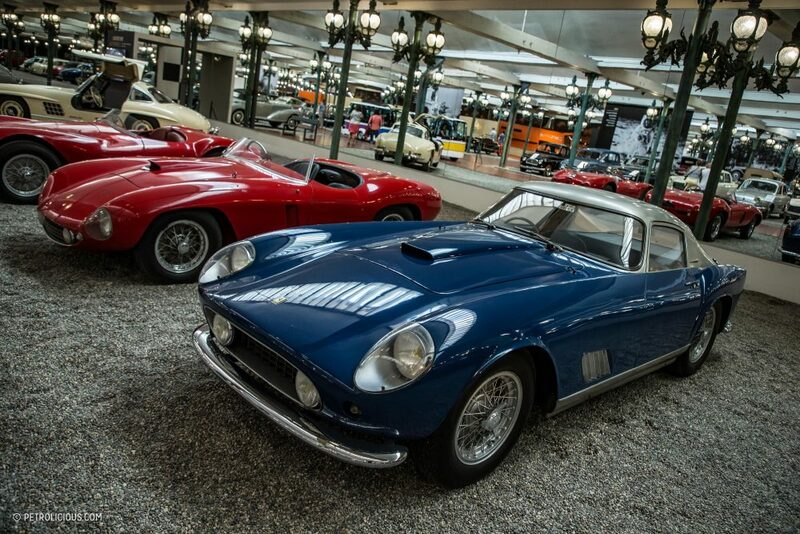 To correct the text slightly the blue Ferrari is a 375mm chassis number 0450AM. 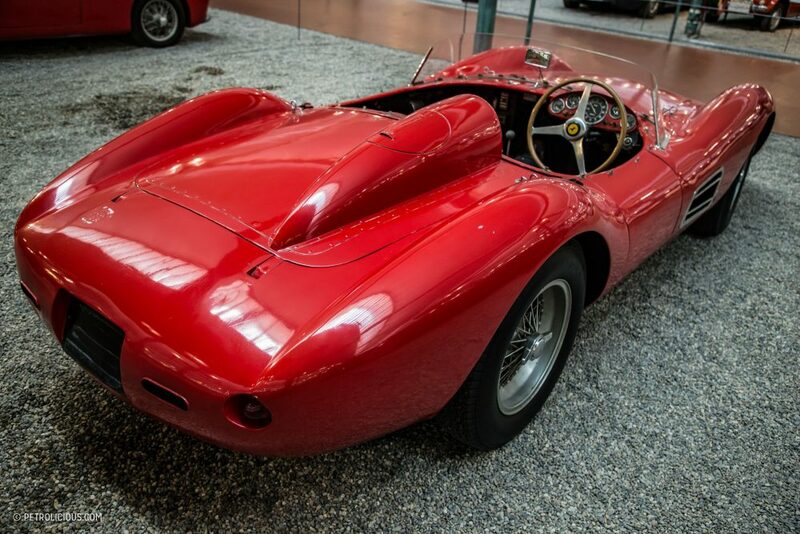 Originally a Pinin Farina bodied Spyder it was rebodied in period for Bao Dai with 250TDF style bodywork by Scaglietti. Indeed it is. 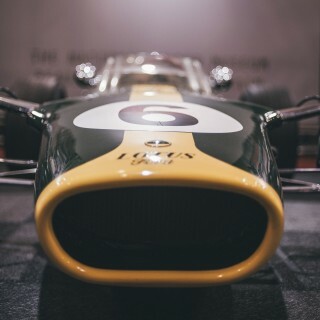 I did a story on it for Forza magazine last year.